Despite their first-place finish atop the National Hockey League standings in the 1964-65 season, most observers who pay close attention to the goings-on in the NHL don’t believe the Detroit Red Wings have the stuff to repeat that performance this season. Wings’ general manager-coach Sid Abel is optimistic, but even he agrees that the sun, the moon, the stars and the planets must align properly for it all to come together for Detroit once again. Here’s why the Wings might (or might not) repeat. The Red Wings caught lightning in a bottle last season when Abel put all his faith in a 22-year-old rookie with only 15 games of NHL experience to carry the goaltending load. And carry the load he did. 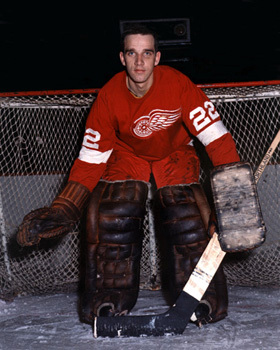 Roger Crozier was the NHL’s rookie-of-the-year, playing all but 32 minutes of the 70-game schedule and leading the league in wins with 40 and shutouts with six. He lost out on the Vezina Trophy on the final night of the season, but still finished with a goals-against average of 2.42. For Detroit to have any chance to finish first again, Crozier will have to duplicate that performance. While his ability suggests that is entirely possible, and even likely, the slightly built backstop endured health issues over the summer and that casts a bit of a pall over his prospects. Crozier spent a couple of weeks in a Bracebridge hospital while he was treated for pancreatitis. 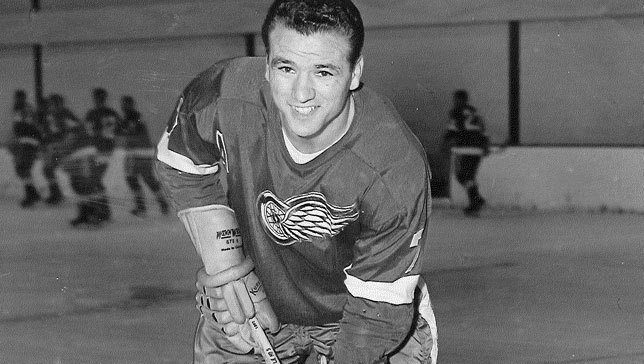 Once he was given a clean bill of health by Red Wings doctors at training camp, he injured his back during a workout and missed more time. If health is going to be an issue this season for Crozier, alarm bells had better be ringing in the offices at the Detroit Olympia. There is no viable NHL backup on the roster right now. Veteran Hank Bassen has won the number two goalkeeping slot coming out of camp. Bassen is 32 years old and has seen NHL action with Chicago and Detroit. His best NHL stint was with the Wings in 1961-62 when he put up a 2.78 average in 27 games. Last season he was with the Pittsburgh Hornets of the American Hockey League, where his GAA was 3.18. 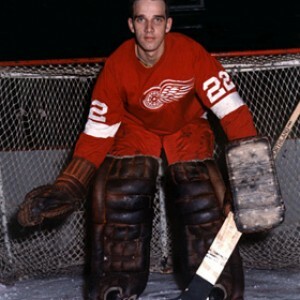 The only other goaltender of note in the Detroit organization is George Gardner, who is only 23. 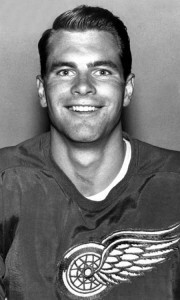 The Lachine, Quebec native was drafted from the Boston system by the Wings in June of 1964. He was expected to compete with Crozier for the number one job last fall, but it turned out he was nowhere near ready for the NHL. Last year with Memphis of the Central Professional Hockey League, he won 25 of 66 games with a 3.47 average. Even if Crozier is healthy for the entire season, the Wings are not out of the woods. In May, Abel traded the team’s defensive anchor, Marcel Pronovost, along with several other players to Toronto for three forwards (Andy Bathgate, Billy Harris and Gary Jarrett). This left the Red Wings very thin on the blue line, and for the team to have any success at all, some youngsters will have to step up. It would not be out of the question for Abel to engineer some sort of deal to bring in veteran help. The best of the returnees is Doug Barkley, 28. Barkley is entering his fourth full season in Detroit and was, after Pronovost, their most dependable rearguard. He has a great shot from the point, isn’t afraid to mix it up, and lugs the puck out of his own zone effectively. The likeable red-head will anchor the Detroit blue line for years to come. 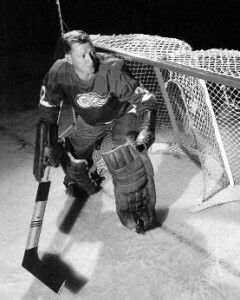 Venerable Bill Gadsby, now 38 years old, is back for his 20th NHL season, his fifth in Detroit. Gadsby showed his age last year, but gets by on experience and guile. If he can stay healthy, he’ll be an asset, mentoring the youngsters Abel is counting on to take a regular turn. After Barkley and Gadsby, Abel is depending heavily on last year’s rookie find, Gary Bergman. Bergman was claimed in the 1964 Intra-league draft from Montreal, where he never really got a chance. His inexperience showed on many occasions last season, but he did progress as the year went on and good things are expected as he matures and gets accustomed to the faster NHL pace. It’s the last two spots that things get a little iffy on the Detroit blue line. Training camp surprise Bert Marshall, a 21-year-old rookie just a year out of Junior A, won a job but it remains to be seen how the 6-2, 195 pounder from Kamloops, B.C. will handle NHL forwards when they start playing for real. The fifth man is another untried youngster in Bryan Watson. Watson is only 22 and is another draftee from the Montreal system. 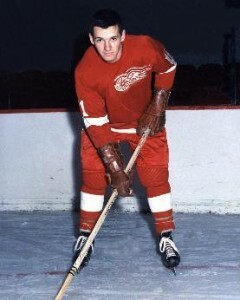 He was taken this past summer after playing most of 1964-65 with Quebec of the AHL. He got into 39 games for Canadiens in 1963-64 but couldn’t crack the Montreal lineup last year. Watson is a versatile sort, and with Abel’s penchant for using four lines, he will move between the forward line and defense, depending on where the need is. Another possibility is veteran Bob McCord, 31. McCord was acquired from the Boston Bruins this summer in the seven-player deal that sent Parker MacDonald, Albert Langlois, Ron Harris and Bobby Dillabough to the Bruins. McCord didn’t have a strong training camp and will have to show more in order to stick. 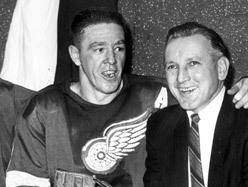 Abel hinted that with a lack of defensive depth, and if injuries become an issue for the Wings, captain Alex Delvecchio might find himself moved to the back end in a pinch. With Detroit’s wealth of forwards, that might be a workable solution, if the need arises. Last year’s Red Wing team tied with Chicago for most goals with 224 and there is no reason they can’t match that total once again. They boast two of hockey’s most effective forwards and their two major offseason trades were engineered to bring in more firepower. Down the middle is where champions are built, and Detroit is well-stocked at centre. Norm Ullman is one of the best in hockey. He is a great scorer and a relentless forechecker. He will centre a line with Floyd Smith on the right wing and newly acquired Ab McDonald (from Boston) on the left. 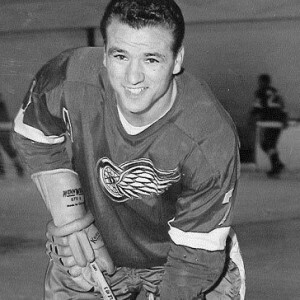 The number one line will have Alex Delvecchio in the middle with the incomparable Gordie Howe at right wing. As Howe enters his 20th NHL campaign, he shows little sign of age and feels he can maintain his unusually high standard of play for several more years. The left side on that line will likely be patrolled by veteran Andy Bathgate. 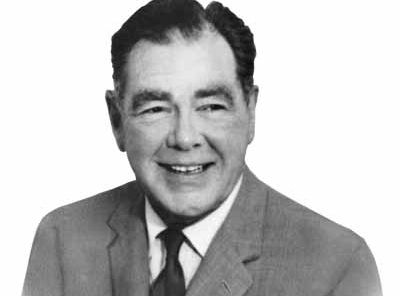 Bathgate was the man Abel wanted from Toronto in what was basically a straight-up swap for Pronovost. Bathgate has never played left wing, but is an offensively gifted player and should be able to fit in with Delvecchio and Howe. Detroit’s other two centres are Billy Harris and young Pit Martin. 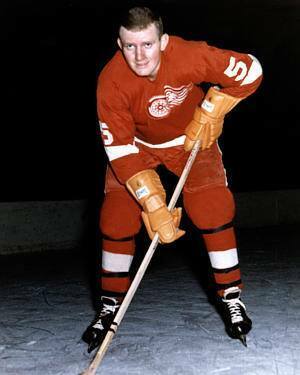 Martin, former star with the Hamilton Red Wings’ Memorial Cup winners in 1962, scored eight goals in his rookie season last year and looks to improve on that total this time around. He has competition from Harris, a perennial bench-warmer with Toronto. Harris believes he never got a full shot at regular work from Toronto’s Punch Imlach and relishes the opportunity Abel is giving him. Two young wingers will likely man the third line. Paul Henderson, who is only 22, is another Hamilton graduate, and like Martin, he scored eight goals last season. He is a swift skater with abundant raw talent, lacking only experience. Bruce MacGregor, 24, already has four NHL seasons under his belt. He had his first 20-goal season last year and may even displace Smith on that second line. If Abel employs a four-line system, there are plenty of possibilities to choose from. Don McKenney was picked up on waivers from Toronto. The former Boston captain is 31 and while he may have lost a step, Abel believes that he has lots of gas left in the tank. He can play centre or left wing. Veteran Ron Murphy who counted 20 goals in only 58 games last year should certainly find a spot. Will Sid Abel regret trading Marcel Pronovost? Sid Abel is no Punch Imlach. At least that’s what Bathgate has said after a less than gruelling training camp. Bathgate roundly criticized Imlach’s Spartan training methods, citing the more laid-back style employed by Abel. Abel likes to keep his players happy, and doesn’t believe in overworking them. He’s very good at matching lines, and like Imlach, believes he can get the most of out veterans who may be nearing the end of the line. Abel surprised many with his wheeling and dealing over the summer. Some Detroit writers contend that he may have shot himself in the foot by creating a hole on defense in the Pronovost swap. If that and the other moves he has made turn out, he may be hailed as a genius. And if they don’t, the Wings may not even make the playoffs. Look for the Red Wings to be in a dogfight with Toronto for third place. The NHL Board of Governors said yesterday that two more cities have been deemed acceptable to receive expansion franchises for the NHL’s new western division. Vancouver and San Francisco join Los Angeles and St. Louis as teams most likely to receive teams when the league formally announces the expansion franchises, slated to begin play in the 1967-68 season. 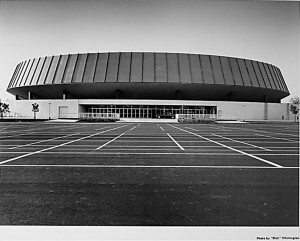 Campbell went on to say that San Francisco’s approval was based on the team playing in either the new arena being completed in Oakland or a renovated Cow Palace in San Francisco. He also said that the Vancouver approval does depend on the completion of an NHL-quality arena on the Pacific National Exhibition grounds. Four cities remain in serious contention for the other two franchises. They are Baltimore, Minneapolis-St. Paul, Philadelphia and Pittsburgh. According to Jim Vipond of the Globe and Mail, Baltimore and Pittsburgh seem to have the inside track now. 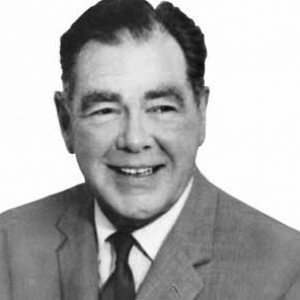 Jim Norris, co-owner of the Chicago Black Hawks, owns the arena in St. Louis. 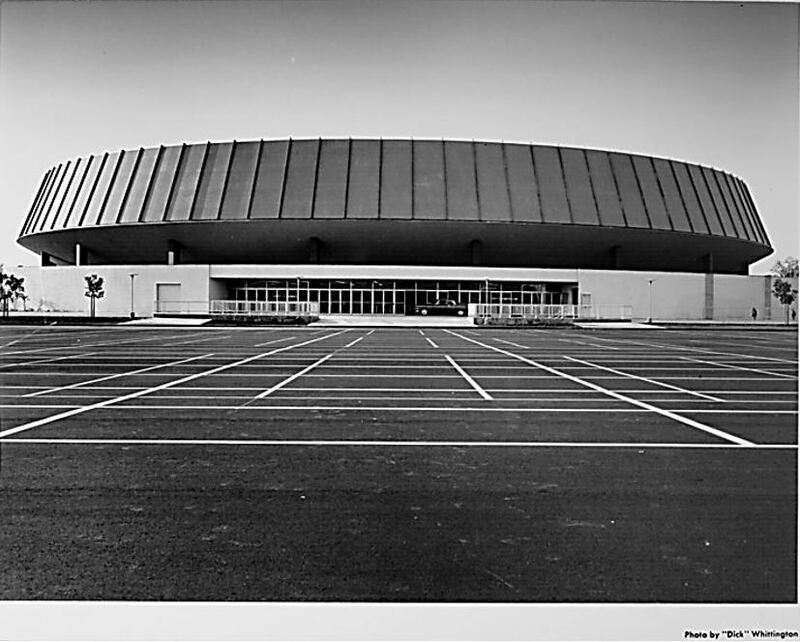 He has asked the other NHL governors to make it a provision in granting of the St. Louis franchise that the person who is awarded the team must purchase his arena. Meanwhile, Al Leader, president of the Western Hockey League, is urging the NHL to include Portland, San Diego and Seattle in its expansion plans. He spoke to the NHL governors yesterday in an effort to convince them to locate five of the six expansion teams on the west coast. Carl Brewer, who announced he would play in the All-Star game, now has decided not to suit up for the contest. Stan Mikita will not play in the All-Star game because he has not signed his contract for this season. Bobby Hull has signed his 1965-66 contract for a sum reported to be in excess of $40,000. Tim Horton is the first of the group of unsigned Toronto players to break ranks and ink his contract for the upcoming season. Bob Pulford, Dave Keon and Bob Baun are still unsigned. Canada’s National Hockey Team defeated Minnesota Rangers of the CPHL 2-1 last night in an exhibition game in Winnipeg.